Soup made easy- just add the ingredients and let the slow cooker do the work! 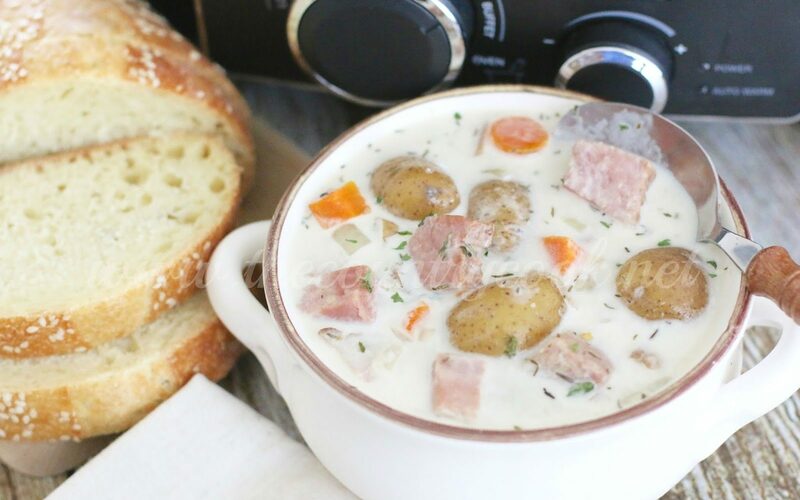 In a six-quart (or larger) slow cooker, add in potatoes, diced ham, onions, and carrots. Sprinkle with parsley, thyme and black pepper. Pour chicken broth over mixture. Cover slow cooker with the lid and cook on low for 6 to 8 hours. Then, take out about four cups of the Little Potatoes and mash them up. Put the mashed potatoes back into the slow cooker. Pour in heavy cream and add in instant potato flakes or another thickener of choice. Stir well. Put the lid back on and cook for another 15 minutes. Tip: This is delicious served with a loaf of warm, crusty bread.